Too long have damsons lived in the shadow of plums, their larger, sweeter and more widely used cousins. The fruits have a similar seasonal period, and are at their best in August and September, but can often be found in October too. Raw damsons can be rather tart, so it is generally better to cook them first before eating. And how could you not cook with them, when the recipes are so tempting? 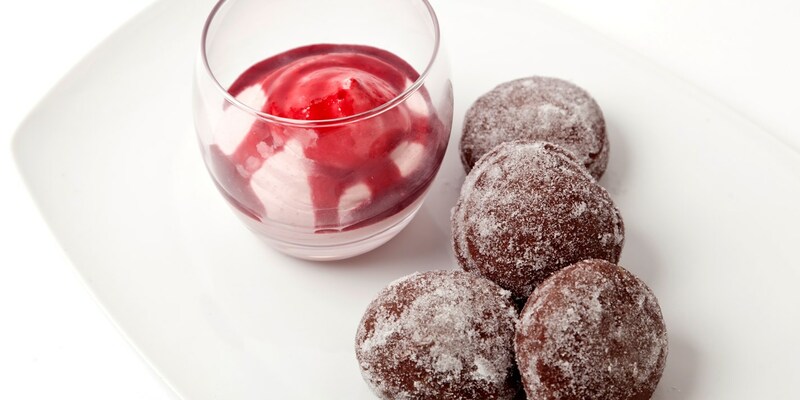 Between Adam Gray's Warm chocolate doughnuts with damson fool, James Mackenzie's Damson ripple ice cream and the stunning Rose petal panna cotta with damson and lavender Viennese shortbread by Frances Atkins, the question next time there's a glut won't be what to do with your damsons, but which recipe to try first.